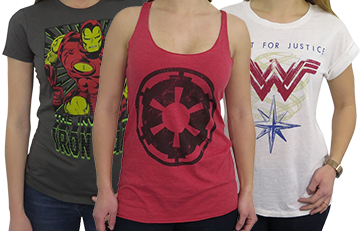 SuperHeroStuff.com is the largest superhero store on the web. 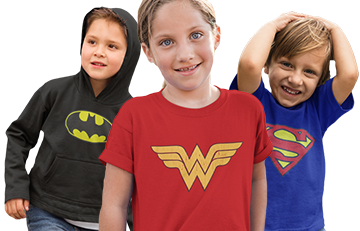 Our selection of DC Comics and Marvel Comics superhero apparel and merchandise is unmatched, and the love for our product shines through with the care and attention we take with each and every customer. 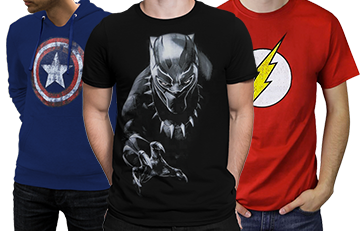 We are a tight niche store with a deep and wide inventory that we keep fresh to ensure that visitors looking for superhero merchandise will find exactly what they are looking for at SuperHeroStuff.com. You can earn a commission for sending customers our way, and the more sales you generate, the higher percentage you can earn! Our starting commission is 10% (2% for coupon/deal sites), with higher tiers (up to 15%) based on monthly revenue generated. We have consistently maintained a high conversion rate and low reversal rate since the launch of our affiliate program in 2008. When you sign up, you will be provided with your own tracking URL, as well as a fresh selection of creatives, links, coupons, and newsletters. We also have a data feed with nearly 3,000 of our best-selling products. Through the ShareASale affiliate network, you can work with us no matter how big or small your website. All the administration is handled, with no cost to you and a quick setup process. You will receive quality support, helpful tools, reliable tracking and consistent payment. Whether you already have a ShareaSale account or need to sign up for one, you can join our program by going to our merchant page. After you sign up, please send us your questions and feedback. We are here to help, and we want this to be a successful partnership for both of us. You can reach our Affiliate Program support at: affiliatesupport @ superherostuff.com (no spaces). Looking for something more creative? Contact us and we would be happy to work with you to help maximize the commissions you can earn when you promote our site through the affiliate program.